If you missed the chance to see Tekken 7 in your local arcade, play the updated arcade version of Tekken 7: Fated Retribution on the home release game software. Tekken 7 is now available on XBOX One, Playstation 4, and PC via Steam. 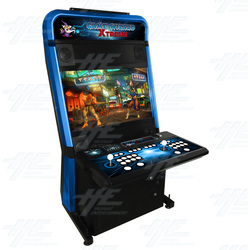 Simply purchase the game software, install into your favourite console or PC, then using the 2 cables (HDMI and the USB cable) in either the Game Wizard Xtreme or the Game Wizard for Android, and experience true arcade game play in your home. If you have multiple games in your XBOX, Playstation or Steam accounts, simply exit the Tekken 7 game, and start playing your other favourite games which may include Street Fighter 5, Killer Instinct 2, Mortal Kombat, King of Fighters and many more.